Ice Age Britons were cannibals, evidence from human remains collected from Gough’s Cave in Cheddar Gorge suggests. Researchers from the Natural History Museum, University College London and some Spanish Universities believe early Britons ate their dead as part of mortuary practice about 15,000 years ago. Archeologists have unearthed several ancient human remains over the years from Gough’s Cave in Cheddar, Somerset. The remains have been dated back to approximately 15,000 years ago. 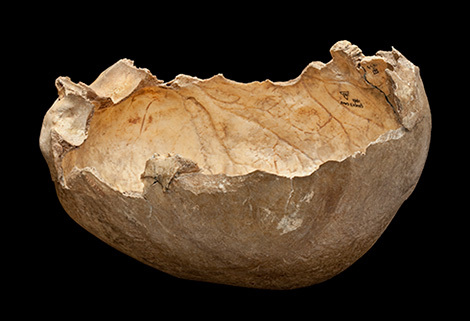 Study leader, Dr. Silvia Bello, from the Department of Earth Sciences at the Natural History Museum, said early Britons also made cups out of dead human skulls. They were likely used during rituals when they were burying their dead. 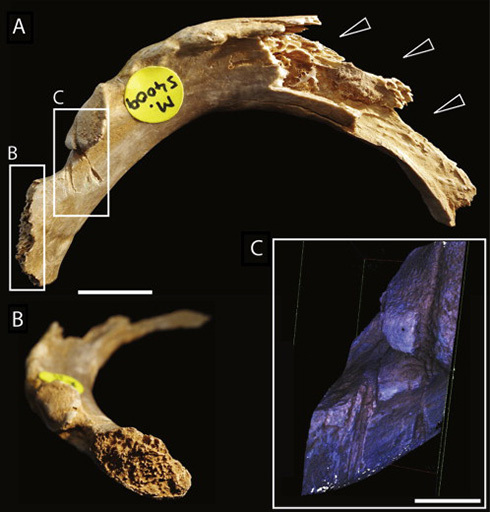 Dr. Bello and colleagues found evidence of human tooth marks on many of the human bones they studied. The research team believe that about 15,000 years ago, there was a sophisticated culture of butchering and carving of human remains in Britain. According to radiocarbon dating, the human remains were deposited over a fairly short period, perhaps during successive occupations, about 14,700 years ago. Evidence points to people returning to the area several times, possibly to bury their dead or hunt. The people living at Cough’s Cave about 14,700 years ago were Magdalenians (also known as Cro-Magnons), a group of hunter-gatherers who originally are believed to have come from Portugal. The Magdalenians migrated northwards and likely made their way into Britain from Belgium or the Netherlands about 15,000 years ago as temperatures rose after the last Ice Age. This is not the first time archaeologists have found evidence of early human cannibalistic habits in Europe. This study, however, is the first to suggest that eating dead humans was part of a mortuary practice, which also included the ritual use of skull cups, and the intensive consumption and processing of the bodies. A French study found that Neanderthals probably ate their dead children about 57,000 years ago, as well as their dead adult companions. Scientists from the University of Bordeaux found signs that Neanderthals beat, cut and fractured the bones of recently-deceased companions. Neanderthals, a species of human in the genus Homo who became extinct, are modern humans’ closes cousins, differing from us in their DNA by just 0.12%. Remains unearthed in the Poitou-Charentes region of France had evidence of cuts being made soon after death and attempts to sever limbs from the body.